Discover the latest advancements in airways stenting. This one-day educational workshop will focus on the utilization of unique airway stenting technology to address common airway strictures both in the trachea and central airways. Expert faculty will provide participants with a didactic learning experience the evening prior, followed by a hands-on session utilizing this innovative stenting technology in live animal models. Physicians will learn both rigid and flexible bronchoscopic methods. Pulmonologists and Thoracic Surgeons who have the clinical capacity to perform airway stenting, and who want to gain knowledge about all aspects of the procedure, from stenting guidelines to challenging case experiences. A minimum of one stent case a week is strongly recommended. Course sizes are limited to preserve the quality of the hands-on experience. To be added to the list of interest of the program, please apply online and a Merit Endotek representative will contact you to discuss course availability. Dr. Scott Oh grew up in Southern California and after spending time in Boston returned to Los Angeles. He trained in Internal Medicine at GLAVAHS where he also served as Chief Medical Resident. After completing Pulmonary and Critical Care Fellowship through Cedars-Sinai Medical Center he joined the faculty at UCLA. 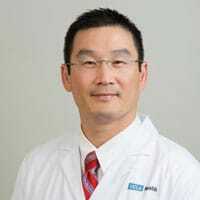 Dr. Oh obtained further training in Interventional Pulmonology through the Harvard Interventional Pulmonology Program and returned to UCLA where he now serves as the Director of UCLA Interventional Pulmonology. He specializes in minimally invasive diagnostic and therapeutic procedures of the respiratory system including bronchoscopic and pleural based procedures. In addition to his clinical expertise, he is involved in medical education as well as research and has established of one of a handful of advanced programs that train future interventional pulmonologists at UCLA.